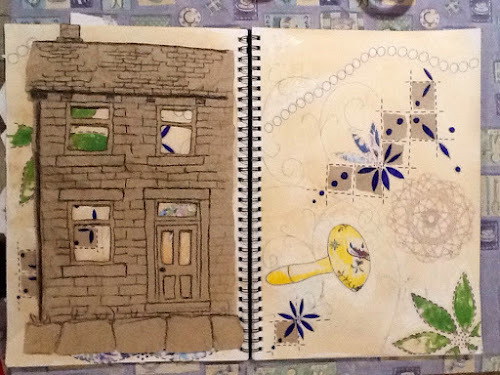 I am taking part in Karen Ruane's Alchemy 2013 course and have been having lots of fun filling up sketchbook pages around my theme of Reminisence. 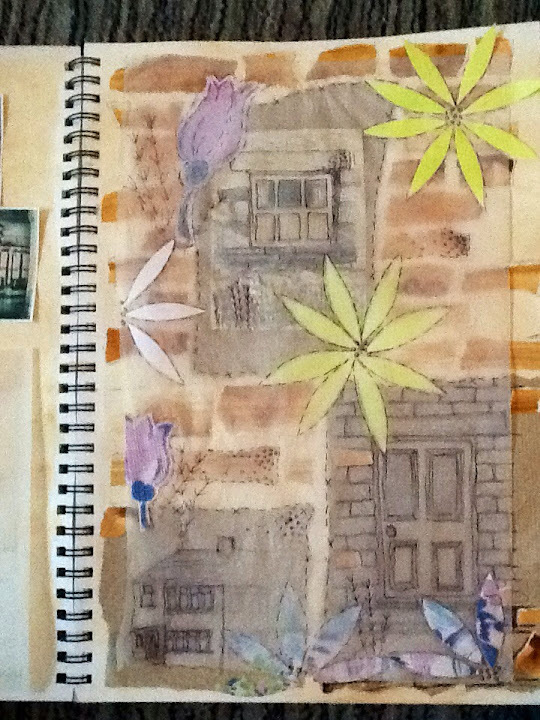 I was given an old photo album which belonged to my Grandma which is providing the inspiration for my artwork along with sewing tools and vintage cloths that also belonged to her. I've enjoyed visiting your blog and seeing your lovely work. 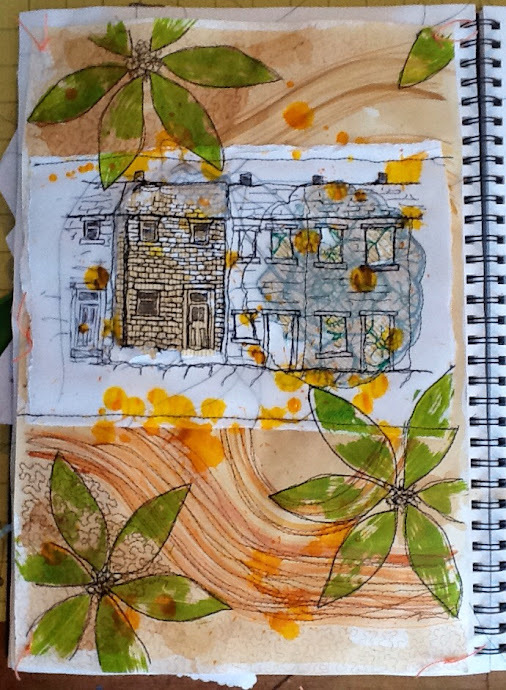 Your theme for Karen's class is very interesting and the sketchbook pages are lovely. I've been immersed in old family pictures lately and so I enjoy seeing different ideas about honoring family artifacts. 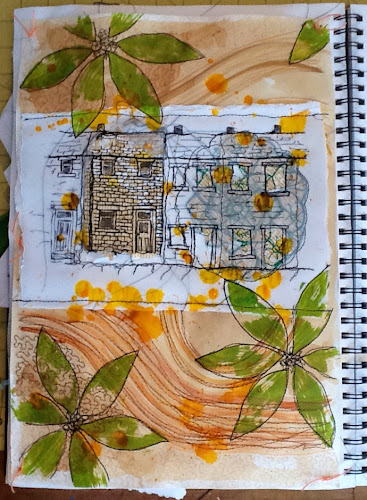 Thank you for your kind comments Nadia - hope you visit my blog again soon!